At the end of October 2016, China's U.S. government investments had fallen $41.3 billion to $1.12 trillion, while Japan's portfolio had decreased by $4.5 billion to $1.13 trillion, according to a report by FTchinese.com. China's massive foreign exchange reserves—over $3 trillion—is indicative of achievements in trade over the past decades. In becoming the world's largest goods trader, China has accumulated vast foreign exchange reserves, which ensure its trade security. It is not, however, a case of the bigger, the better. If things go wrong, the huge foreign exchange pool could trigger a trade war and become an impediment for China. For years, the yuan-U.S. dollar exchange rate and China's huge trade surplus with the United States have caused much contention and many trade disputes between the two sides. Before the yuan became an international reserve currency, China's foreign exchange reserves had to be settled in U.S. dollars. In the dollar-dominated world, the best way to invest in this fortune was to buy U.S. treasury bonds. Even though China's holdings of U.S. debt depreciated as the dollar lost value during the financial crisis, back then, U.S. treasuries remained the safest means of maintaining the value of assets. Things, however, changed over the past years. 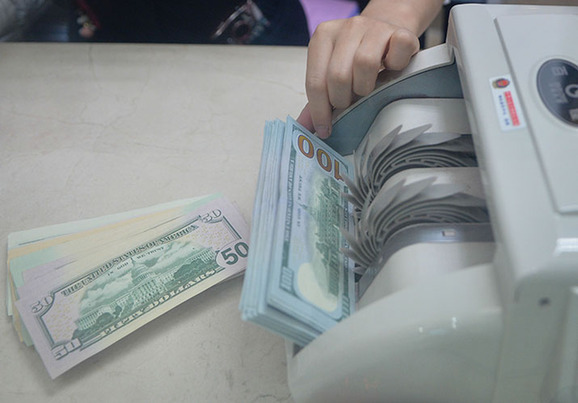 With several rounds of quantitative easing in the United States and urgent demand by Europe for China's foreign exchange reserves, China began diversifying its foreign holdings into different currencies, gradually reducing its U.S. exposure and buying more euro-denominated assets. Now included in the International Monetary Fund's special drawing rights (SDR) basket, the yuan is becoming an international reserve currency, and its exchange rate has been pegged to the values of multiple currencies, instead of just to that of the U.S. dollar. This is another reason for China to reduce its U.S. government bond holdings. A more important reason is maintaining yuan exchange rate stability. A more stable and market-oriented formation of renminbi exchange rates is needed to ensure exchange rate reform and safeguard the yuan's SDR inclusion. And the renminbi's overvaluation for more than two decades must also be reversed. Such depreciation in value is normal. Abnormal market fluctuations have also played a role in recent yuan depreciation. For instance, the first interest rate hike by the U.S. Federal Reserve in 2015 stimulated yuan depreciation, and the interest rate gap between onshore and offshore renminbi markets led to short selling of renminbi by international speculators. To avoid the chilling effect on the renminbi exchange rate under such circumstances, China's central bank needed to purchase the renminbi with its foreign exchange reserves in order to maintain the yuan's stability. As Donald Trump has been elected U.S. president, and the U.S. Federal Reserve has raised interest rates again, China faces the double pressure of declining renminbi exchange rates and capital outflow. The yuan has been depreciating against the dollar since October 2016. Therefore, given China's hefty foreign exchange reserves, the central bank has continued to use standard means to keep the yuan stable. After 2014, most of China's foreign exchange reserves were used to buy U.S. treasuries. Now, though, such investment has been reduced, partly because China's central bank is selling U.S. dollars to maintain renminbi stability. In the future, China will increase or narrow its holdings of U.S. treasuries according to changing market circumstances. The state of the U.S. economic recovery and the status of the U.S. dollar mean that China must hold a certain amount of U.S. treasuries. While the yuan's position as an international reserve currency becomes more stable, China's holdings of U.S. treasuries will fluctuate to address market risks brought by the internationalization process. China's planned reduction in its U.S. government investments and its reduction of foreign exchange reserves are active measures to make its foreign trade more balanced. This is conducive to lowering China's trade surplus, improving its relations with major trading partners, and reducing the likelihood of currency and trade wars with major trading economies. It is also a signal sent by China as a responsible trading power in the post-crisis era.